A timely and much needed book on the issue of unrepentant sin WITHIN the Church, which is largely overlooked and frequently ignored. Through a painful personal experience, the author tells how the truth of the message of this book was revealed to her, and the effect it has had on her life. 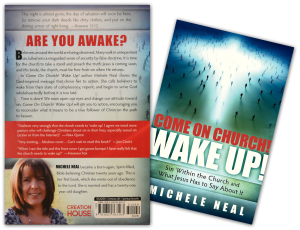 Packed with Scripture to confirm the message, this is a 'Must Read' book for all Christians, exhorting us to examine our lives and make ourselves 'ready' for Jesus' return. Click on image left to enlarge. Many 'End Times' books, movies and computer games are coming onto the market, but how many of them tell us that the 'End of the World' is prophesied in the Holy Bible to be the final catastrophic event that will come upon the whole world to fulfil God's eternal plan to save those who believe in His Son Jesus Christ as their Lord and Saviour, but will end in eternal hell for all those who have rejected Him? This book tells you just that! 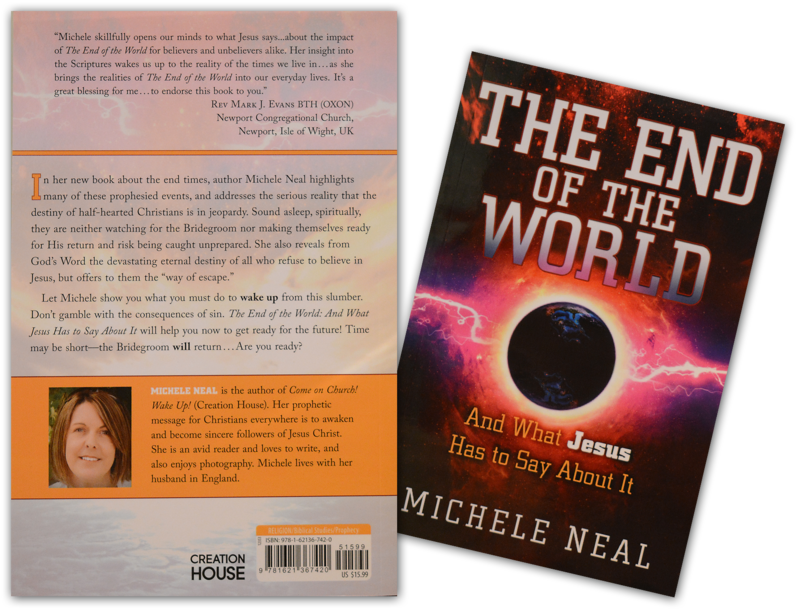 In her 'no-nonsense' but easily readable style, the author takes us through the impending events of the 'End Times' leading to the 'End of the World', and shows us plainly what Jesus has to say about it. The only authority on this vital subject is the Word of Jesus Christ, and as such, the author packs this book with Scripture to confirm the message. The time may be short ...This is a 'Must Read' book in the times in which we now live. The twenty-first century Church seems to be abandoning its holy and anointed role of keeping watch over the souls of those who are followers of Christ. Succumbing to the lure of deceptive teachings, many church leaders are feeding their flock with Satan’s counterfeits to authentic Christianity. 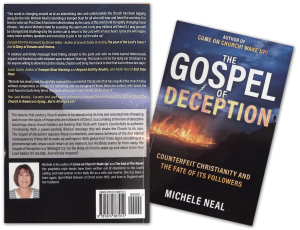 With a power-packed, Biblical message that will shake the Church to its core, The Gospel of Deception exposes these counterfeits, and warns believers of the dire eternal consequences if they fail to wake up and repent. With global End Times signs escalating at a phenomenal rate, Jesus could return at any moment, but His Bride seems far from ready. 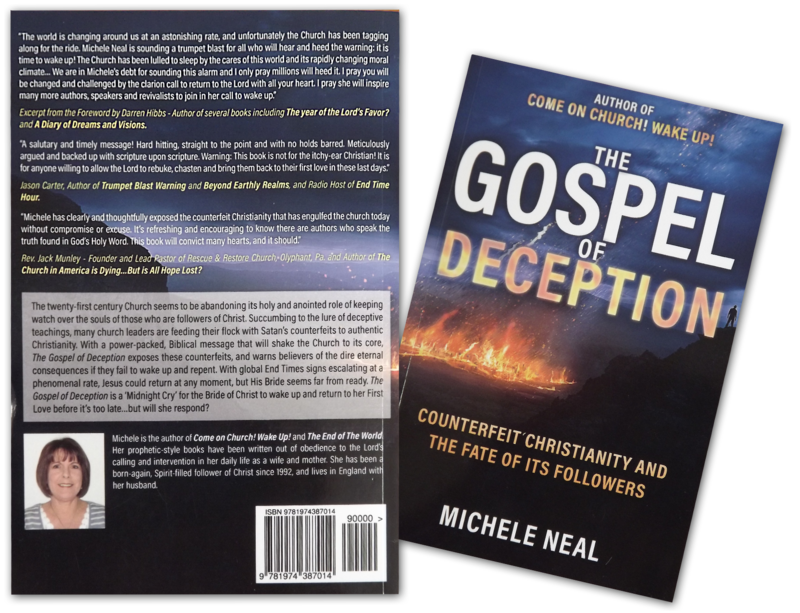 The Gospel of Deception is a ‘Midnight Cry’ for the Bride of Christ to wake up and return to her First Love before it’s too late…but will she respond?